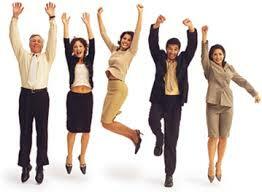 Keeping your employees happy is a key component to getting the most out of your bottom line. With a business being ran by a bunch of unhappy campers who don’t want to be there, you can bet that your production rates will decrease as well. Not every job is glamorous. As a matter of fact, most jobs are the complete opposite. However, that does not warrant the assumption that every day has to be a living hell. Understanding the connection between employee wellness, morale, and the bottom line will help any frustrated supervisor transform their workforce. Posted on March 30, 2014, in Business, leadership and tagged Business, good management, leadership, news, Stress management. Bookmark the permalink. Leave a comment.